As the largest city in China, Shanghai has an important role in innovating and contributing to a global solution to the problem of waste. With over 24 million people living in Shanghai, materials sustainability, particularly that of plastics, is a significant issue. 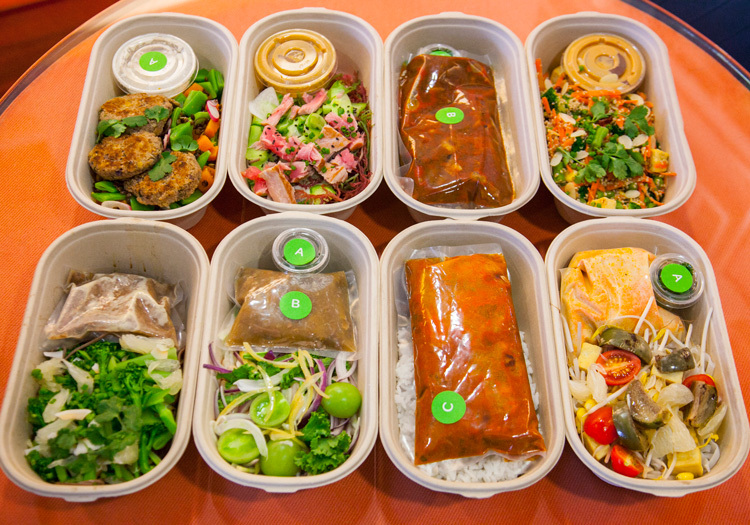 Waimai or food delivery, which is extremely common in Shanghai, creates large amounts of waste due to the plastic containers, bags, and utensils that come with each order. The top three waimai apps in China have between 14 and 18 million monthly active users, with each company seeing four to five million orders per day. Many companies around the world have been innovating to create environmentally-friendly materials and better systems for a new plastics economy. However, to enter the Chinese market, it is vital to accommodate products and services to the local context. In Shanghai, easily recyclable materials are already dealt with by rural-to-urban migrant workers. Its migrant population of more than nine million has organically identified the informal market for recyclable plastics, and some are working within this system to recycle these materials. Therefore, innovation in this sphere may not necessarily make a large impact. However, plastic containers covered with food waste (as a result of waimai), as well as small plastics like straws, utensils, and coffee cup lids, have no value in this informal economy. There is great potential for innovating within a market of millions of customers that generates a lot of plastic waste. Since there are currently few solutions that address the plastics use of waimai, there is room in the market for new ideas to enter. Delivery companies like Saucepan have begun to combat the plastic usage of the waimai economy in Shanghai by using biodegradable packaging in the delivery process. Additionally, it incentivizes consumers to both recycle their plastic bags and stay in the business by rewarding customers for every 10 bags that they return to the company. Saucepan was created on a foundation of sustainability and waste production, but local restaurants and delivery apps that are already in operation in Shanghai may not have the ability to immediately change their products or services. Biodegradable materials constitute about 4% of Saucepan’s costs, which is significant when compared to the extremely low price of plastics. Due to these higher costs, there is less demand in Shanghai for environmentally-friendly products, making it difficult for companies in the area that want to be more sustainable to find suppliers. However, the more delivery services that promote sustainability, the more suppliers will see that there is a market for environmentally-friendly products. Product and service designers in Shanghai and China have an opportunity to innovate when companies approach them. The waimai delivery service plays a consequential role in the creation of waste in China, and innovating in this specific context can make a big impact in the new plastics economy. However, it is not only waimai services and the production of new materials that have room for growth. All stages of the use of plastics have opportunities for innovation. TerraCycle targets the end processes of the plastics economy and recycles what is commonly deemed to be “non-recyclable.” The company promotes awareness of plastics waste by creating services and products that individual communities will care about. Depending on the country that it is operating in, TerraCycle addresses the issues of recycling and waste sustainability differently. 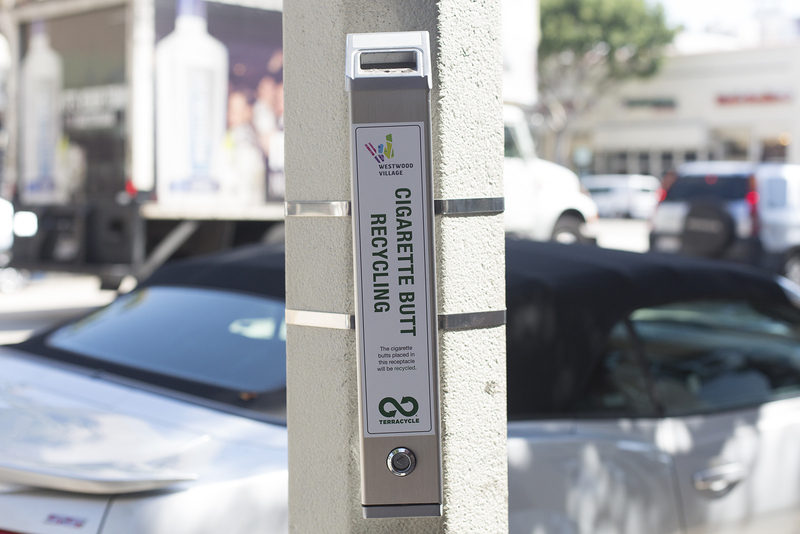 For example, in the United Kingdom, TerraCycle set up cigarette collection locations in the form of voting boxes to address the issue of cigarette waste. These collection sites asked questions relating to popular culture or social issues to attract participation to their campaign and encouraged people to recycle by putting their cigarette waste in the box to vote for their favorite option. In the United States, TerraCycle works with elementary schools to encourage awareness of plastics use from a young age. It holds a competition among elementary schools to recycle, and the school that recycled the most won a playground partially made of recycled materials. However, after the company arrived in China, it realized that this program that worked in the United States would not work within the Chinese education system. Therefore, instead of targeting younger audiences, TerraCycle began collaborating with university students, who are more interested in sustainability topics, to collect bottles and containers that are traditionally thought to be non-recyclable. Additionally, TerraCycle found that campaigns that reward recyclers with donations to their favorite charity do not create as much engagement in China as they do in other countries. Therefore, it adjusted its community recycling programs to reward little gifts instead, which are more significant in the Chinese context. The current lack of proactive design in the plastics economy hinders innovation, which leads to unsustainable practices and harm to the environment in the long run. Saucepan and TerraCycle represent just two of the many ways that businesses can innovate in the new plastics economy. Both examples focus their innovations on localizing a global problem to its specific context. Engaging local communities by capitalizing on the ideas that they care about is the most effective way to promote sustainable processes. Businesses need to make decisions that make economic sense, but starting with good design makes it easier to operate more sustainably. Materials sustainability is quickly coming to the forefront of business decision making. Not only are newcomers placing their stake in the new plastics economy, but well-established companies are also seeking ways to become more environmentally sustainable. 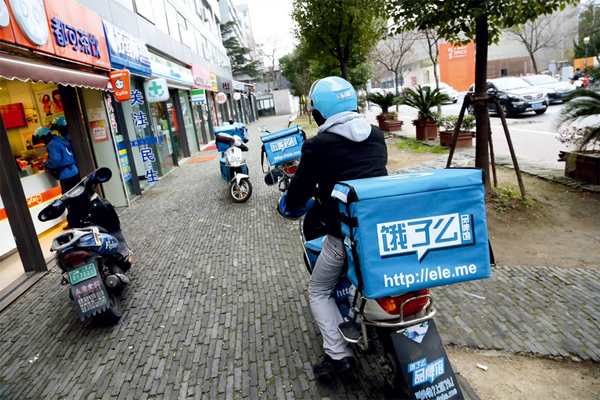 One of China’s top takeout delivery apps was present and is starting to see that as an important facilitator of the food delivery industry, it plays a large role in creating plastics sustainability. Consequently, it is looking for feedback from the public on how to encourage restaurants to operate more sustainably through its app, which is something that no company had to do a few years ago. We at Collective support and are encouraged by this increase in attention on sustainability. As more businesses look to address the issue of plastics waste, this change in mindset will jumpstart a new cycle of innovation. People need to rethink the creation, use, and re-use of plastics to address the growing global issue of plastics waste, and most importantly, design for the needs, social context, and lifestyles of the people of Shanghai. For more articles on this topic, check out our Waste in China tag. Follow Collective on social media to receive updates on our latest articles, reports, and events. Tags: China, food, packaging, waste.